TAKING LADDER SAFETY TO NEW HEIGHTS! Do you use ladders to access height? Is the ladder an integral part of your day to day work life? Our ladder safety bracket has recently been introduced into North America and already it has been supplied to a number of companies who require safe access to heights. This ladder safety device raises your ability to protect your workers. We are passionate about providing a safer working environment for all businesses and their employees. Reduce the number of ladder related critical injuries and deaths every year!! WorkSmart is the sole provider of this unique and revolutionary new Ladder Safety Product! The design allows it to be permanently fixed to a building for safe access to the roof. It is installed in a designated area ensuring the correct access point for all users. It reduces building damage as the ladder does not move to scratch paint work or damage guttering. It ensures a safe access point on the outside of the building should there be an emergency within the building. The external access point for the building eliminates any issues with internal access points such as building security and weather tightness. It is designed to accommodate any extension ladder. It locks the ladder in place before the user ascends, thus eliminating the possibility of the ladder slipping sideways. 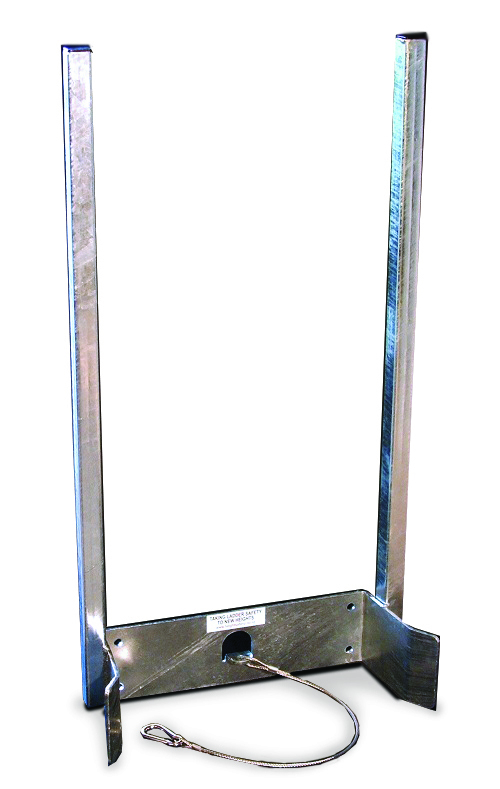 This reduces the need for the ladder to be footed prior to climbing and allows for one person to safely access height. The restraining cable is looped around the ladder rungs and clipped back into its carrier giving the ladder a secure tie off point. Ensures 3 points of contact at all times.